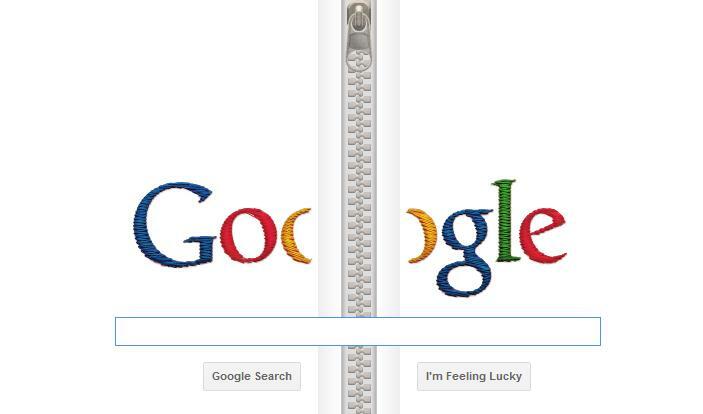 Development of the zipper Gideon Sundback's Google Doodle (Development of the zipper) Gideon Sundback (April 24, 1880 -- June 21, 1954) was a Swedish-American electrical engineer. Gideon Sundback is most commonly associated with his work in the development of the zipper *Born in April 24, 1880; he name zipper was created in 1923 by B.F. Goodrich who used the device on their new boots. Initially, boots and tobacco pouches were the primary use for zippers; it took another twenty years before they caught on in the fashion industry. About the time of World War II the zipper achieved wide acceptance for the flies of trousers and the plackets of skirts and dresses.